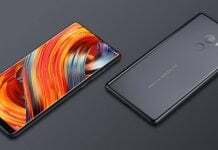 After Xiaomi introduced the Mi MIX concept phone that bezel-less design, other smartphone makers are also working on launching the smartphones with a similar bezel-less design. 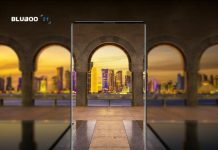 BLUBOO, the Chinese smartphone manufacturer, is also ready to jump on the bandwagon with its new smartphone called BLUBOO S1. In the recently held Global Sources fair in China, BLUBOO had showcased the S1 smartphone to the people. 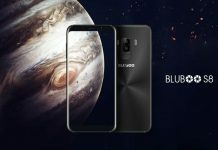 The BLUBOO S1 seems to be ready as it is now rumored to launch in the next month with a price tag of $150. Here are the first official renders of the BLUBOO S1. The image reveals that the BLUBOO S1 has almost no bezels on the left, right and top sides of the screen. The bezel present below the display is spacious enough to house a Home button that is integrated with a fingerprint scanner. The BLUBOO S1 is powered by MediaTek Helio P25 chipset. The smartphone will be available in two RAM variants of 4 GB and 6 GB. Both variants will be coming with 64 GB of inbuilt storage. The S1 features a dual-LED flash enabled dual rear camera setup that includes 16-megapixel + 3-megapixel snappers. 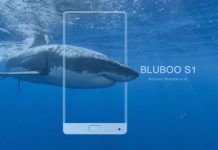 BLUBOO has not revealed any information on the size of the display and the battery that will be powering it. Also, there is no information on the selfie camera of the S1 smartphone. More details of the phone are expected to surface before the official launch. It will be interesting to see whether the S1 offers higher screen-to-body ratio than the Xiaomi MI MIX. With $150 pricing of BLUBOO S1, it seems that the company wants to provide a smartphone with an impressive bezel-less design with an affordable pricing. 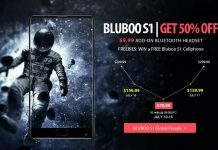 What do you think about the specs, design, and pricing of BLUBOO S1? Share your thoughts by posting the comments below.